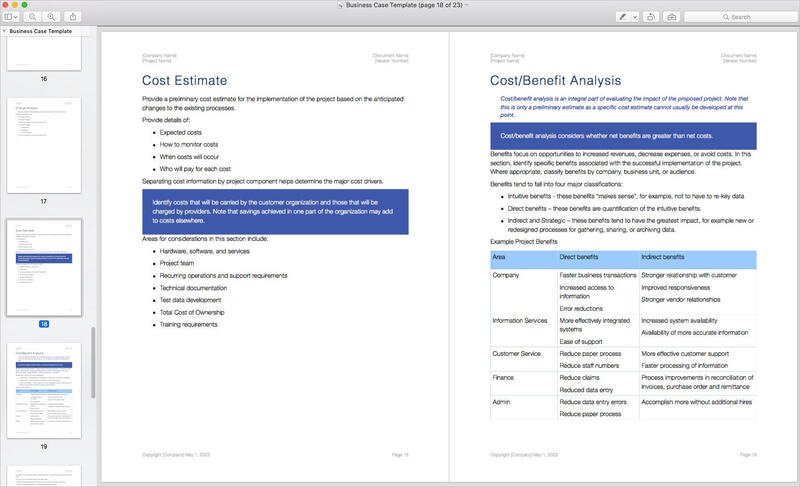 Download this Business Case template (iWork Pages 22 pages) to outline the Business Need, Current Process, Services, Expected Benefits, Change Analysis, Cost estimate, Cost/Benefit Analysis, and Project Schedule. Scroll down for business case writing tutorials. 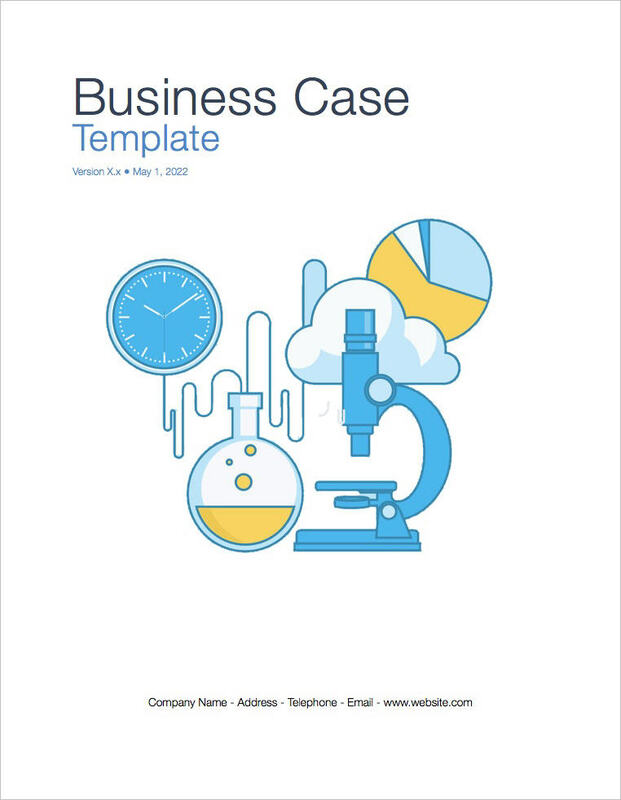 How do you write a business case? Well, there are two ways to write your first business case. 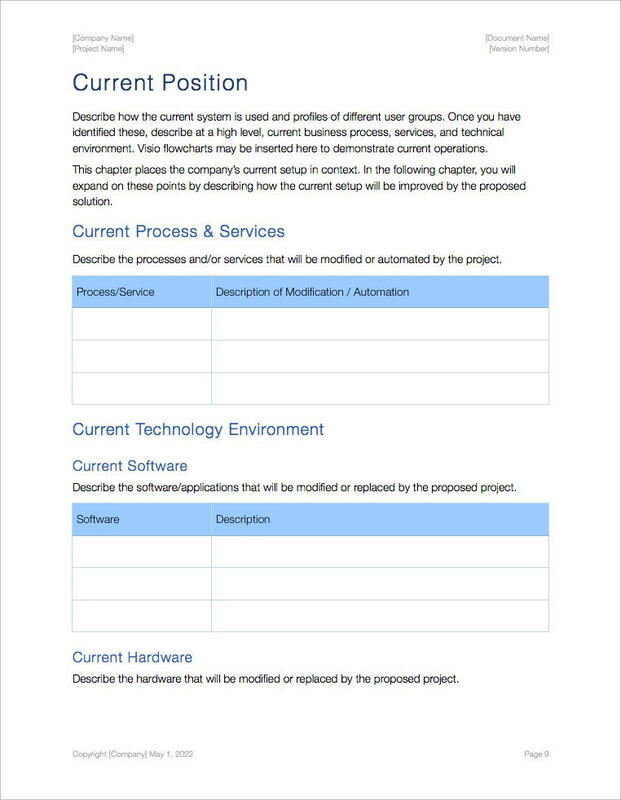 If you have enough knowledge, you can write the Business Case and send it to the Project Stakeholders for sign-off. 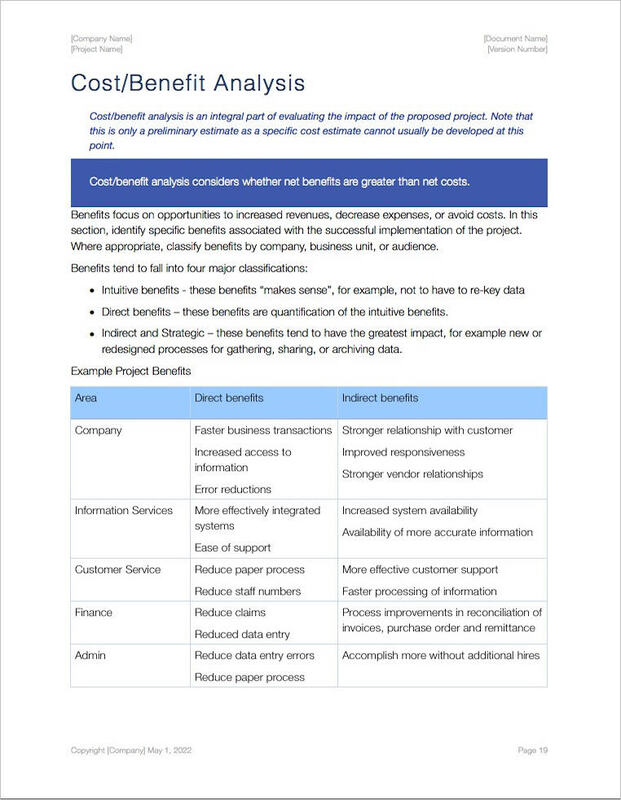 For more complex business analysis activities, you may need to write the Business Case with other team members by tapping into their expertise to write sections that use their respective strengths. 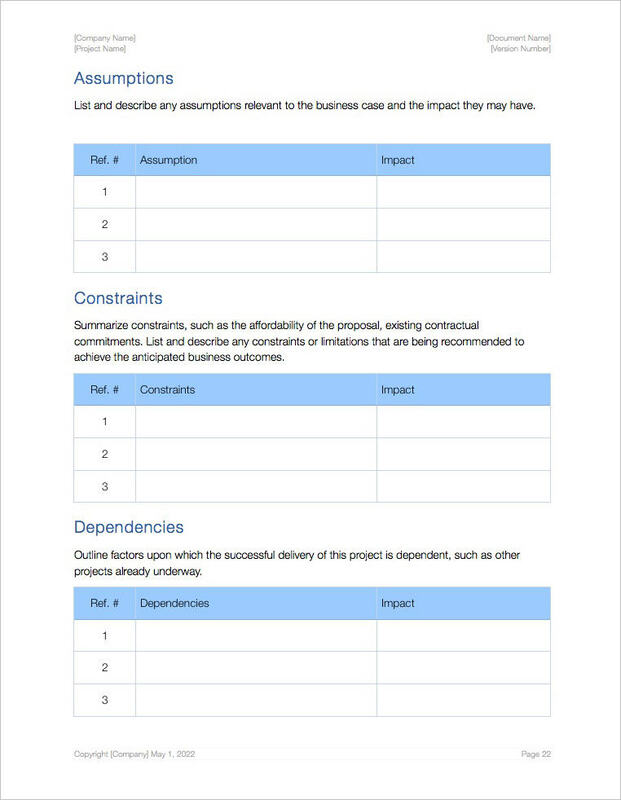 In the following tutorial, we look at how to write a business case from scratch, this is, if you’ve never written a business case before and want to know where to start. Read More. 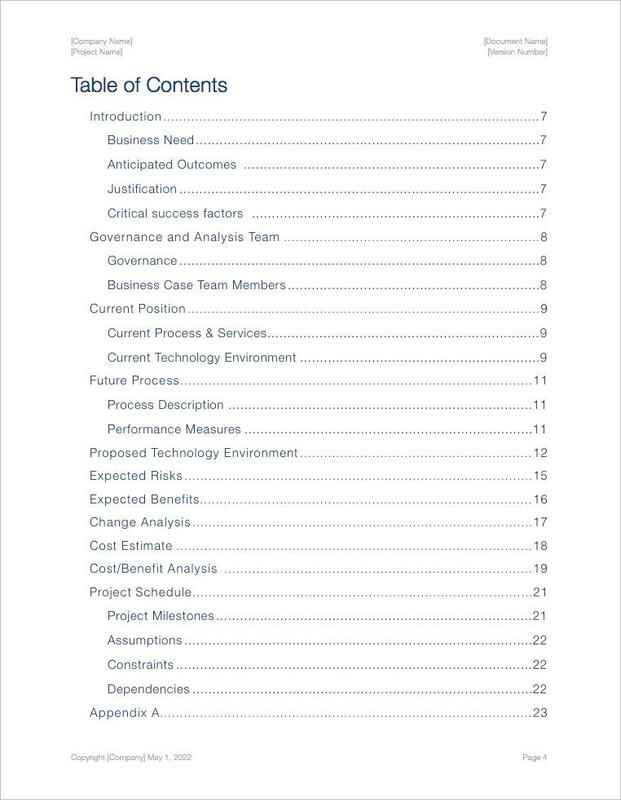 How do you justify the needs for a Business Case? Looking for funding for a new project but not sure where to start? 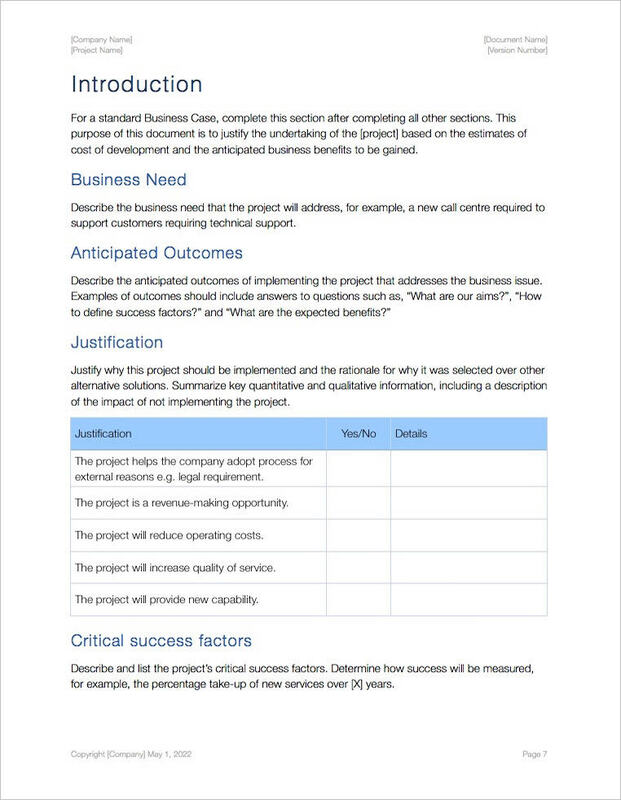 One way to get the funding you need is to create a Business Case. This outlines the benefits, competitive edge, and other gains the company stands to make if it invests in this project. 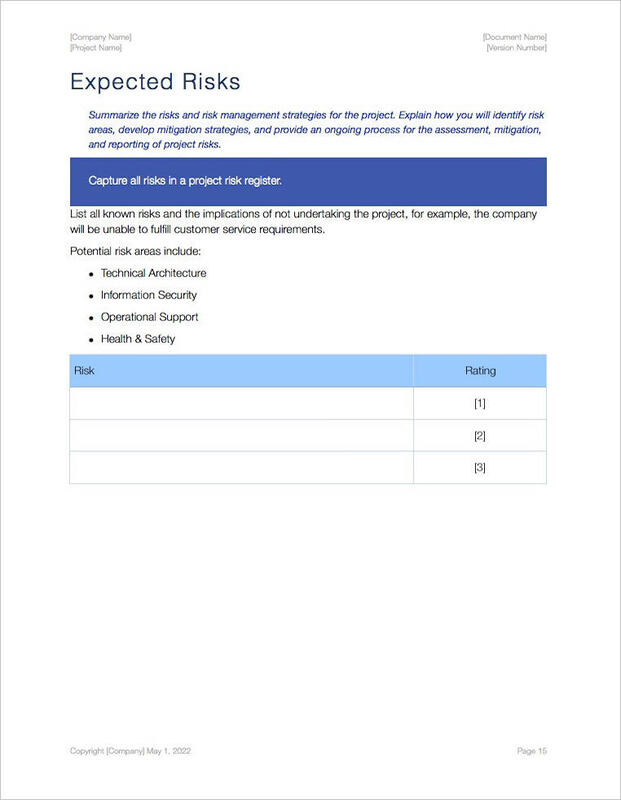 For certain projects, the Business Case is a fore-runner for a Request For Proposal (aka Invitation To Tender) where business proposals are accepted from external firms. 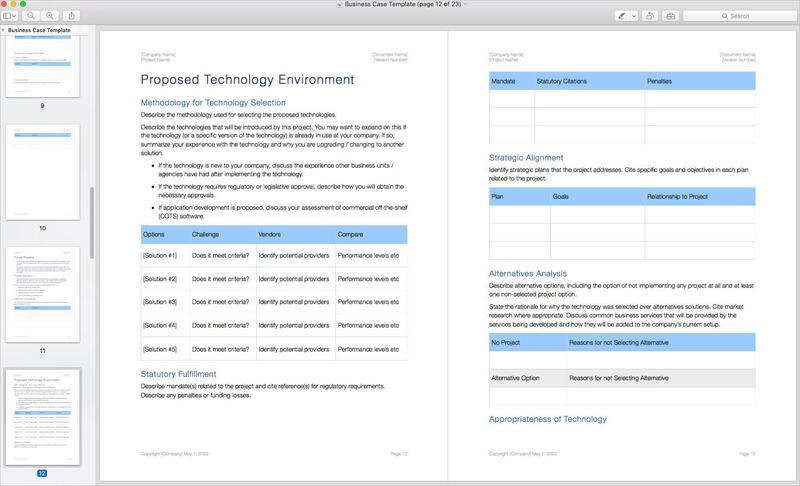 What Are Apple iWork Best Features?